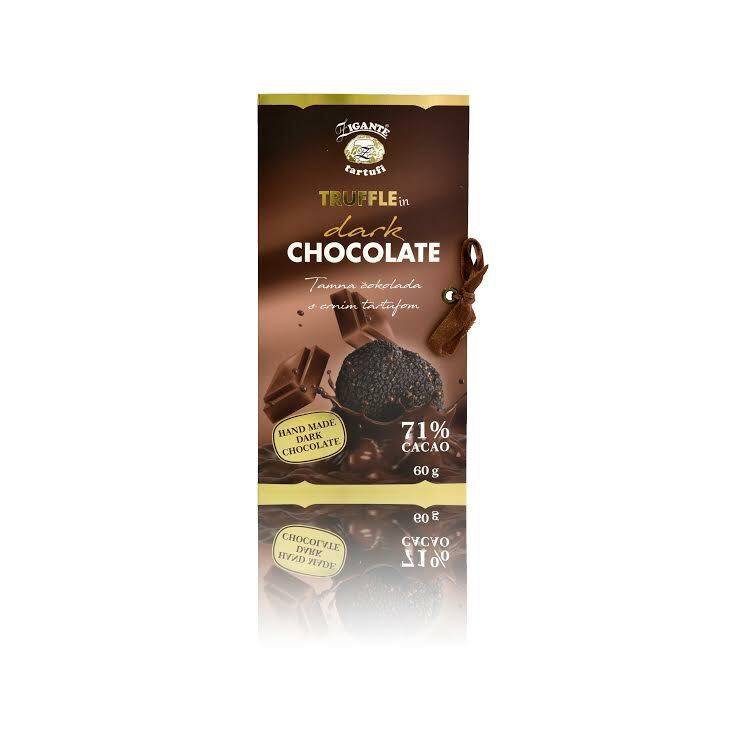 Ingredients: dark chocolate with 71% cocoa content (cocoa mass, sugar, cocoa butter, emulsifier: soy lecithin, natural vanilla flavour), Black Truffls (Tuber aestivum) 1% extra virgin olive oil, flavour. There may be traces of fruit, nuts (pistachios, Indian walnuts, almonds, hazelnuts, walnuts), milk, peanuts, soy, sesame, wheat and protein. Packaged in controlled facility in Istria, Croatia. Available in 60g bars with stylish packaging. A delicious product, perfect to treat yourself or your significant others. Please contact us for retail & wholesale pricing. Product is certified and available for private label based on restrictions.